Radio420™: Wicked 101 Podcast Welcomes KUMA this Saturday, October 6th! Wicked 101 Podcast Welcomes KUMA this Saturday, October 6th! There’s a live video podcast that you’re definitely going to want to tune in for! 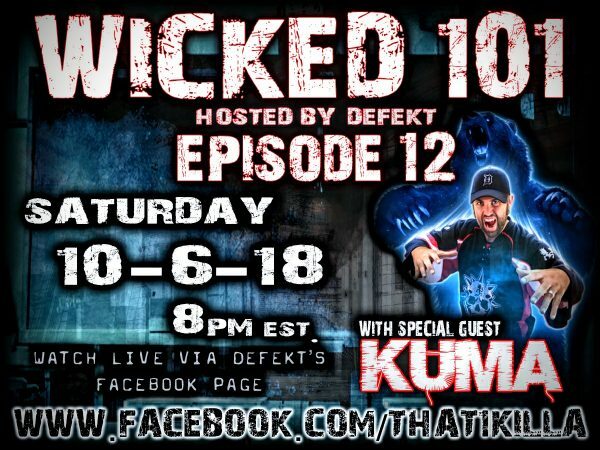 Our homie Defekt has a podcast called Wicked 101, and this weekend he’ll be interviewing KUMA for episode 12! You probably know Kuma for his production, engineering, and video work at Psychopathic Records throughout the years. I’m sure he’s got some great stories that you’ll want to tune in and hear! 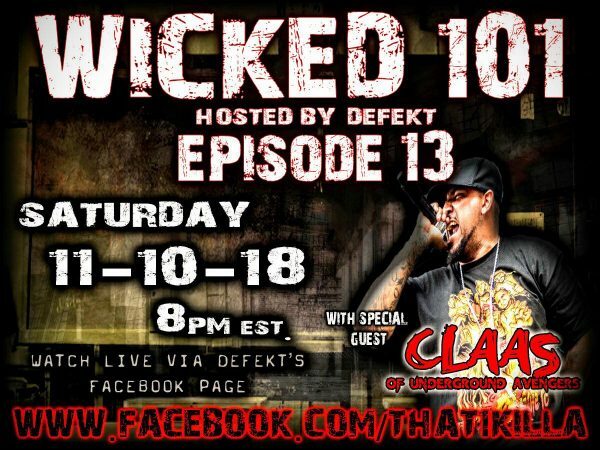 To check this out live, you’ll need to point your browsers to Defekt’s Facebook page at Facebook.com/That1Killa on Saturday, October 6th at 8 PM EST! Click to visit Defekt’s Facebook Page! The following episode will take place on November 10th, and you’ll get to hear Defekt chop it up with Underground Avengers own CLAAS! He will be just off the Fright Fest Tour, so there’s sure to be lots of topics discussed! Mark your calendars for that one!